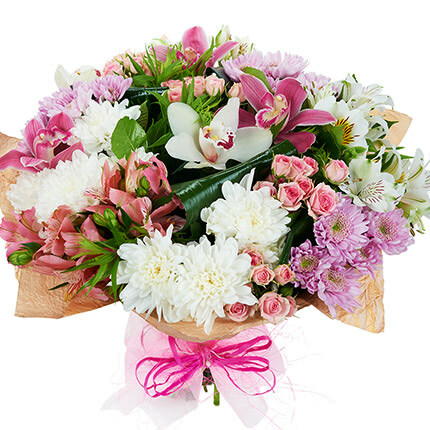 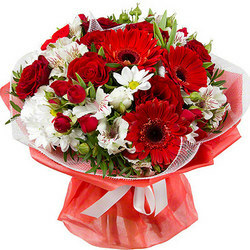 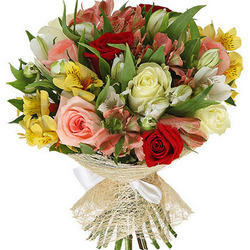 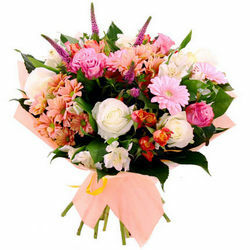 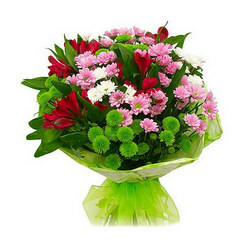 Wonderful mix of bright and fragrant flowers will give the most beautiful and warmest regards to your recipient! 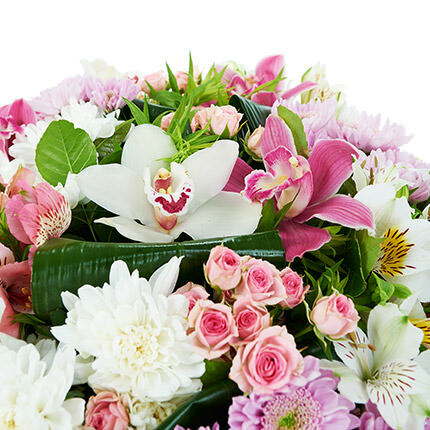 Composition: 3 orchid flowers, 5 branches of multicoloured chrysanthemums, 3 multicoloured alstromerias, 3 branches of multicoloured spray roses, greenery, decoration. 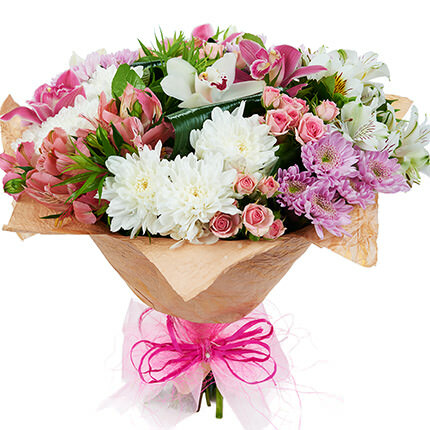 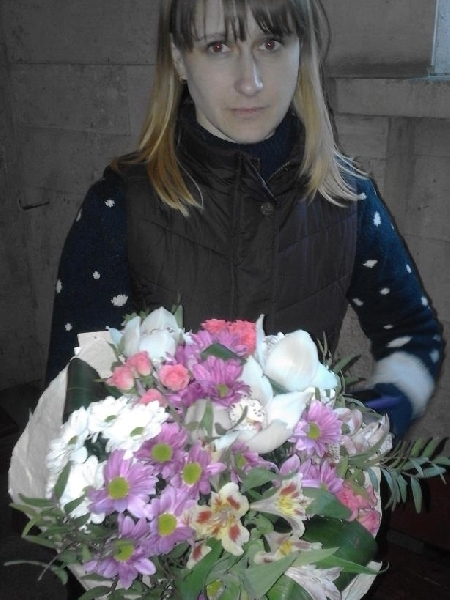 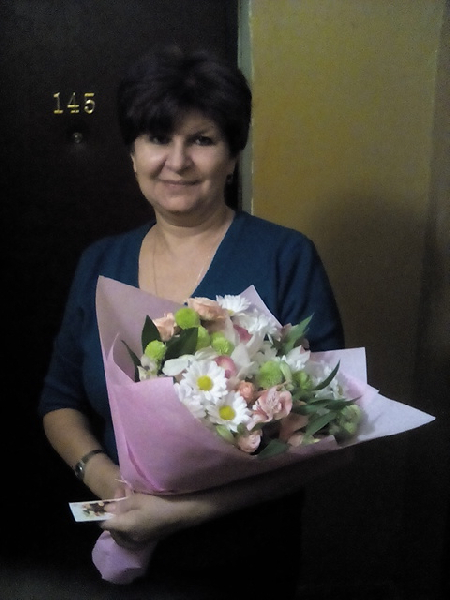 20032019 © Flowers.ua Bouquet "Blooming garden"